It’s finally Friday, which means it’s time for the very first Destiny 2 Xur location and items post! This weekend, players can spend 29 Legendary Shards on the Merciless fusion rifle. Hunters can grab the Raiden Flux chest armor for 23 Legendary Shards. Titans can pick up the Doom Fang Pauldron gauntlets for 23 Legendary Shards. The Destiny 2 Xur location for this week is on Nessus, by the Watcher’s Grave landing zone. In other Destiny 2 news, the Raid was beaten within six hours of launching, some “racist gauntlets” have been fixed, and patch 1.03 was released. We also went ahead and listed the top five Destiny 2 Easter eggs found within the two social spaces. Finally, the game reached a peak of 1.2 million concurrent players, and Bungie expressed their thanks on Twitter. 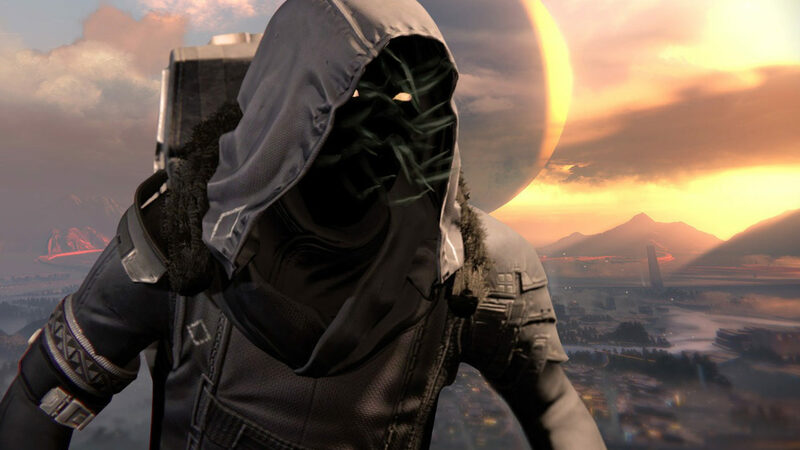 What will you buying off Xur for this week?